GIMP includes a very unique support for various input devices out of the box. Pressure and tilt sensitive tablets, but also a wide range of USB or MIDI controllers. You can bind often-used actions to device events such as rotating a USB wheel or moving a MIDI controller's slider. Change the size, angle or opacity of a brush while you paint, bind your favorite scripts to buttons. Speed up your workflow. One thing immediately noticeable about GIMP 2.10 is the new dark theme and symbolic icons enabled by default. This is meant to somewhat dim the environment and shift the focus towards content. 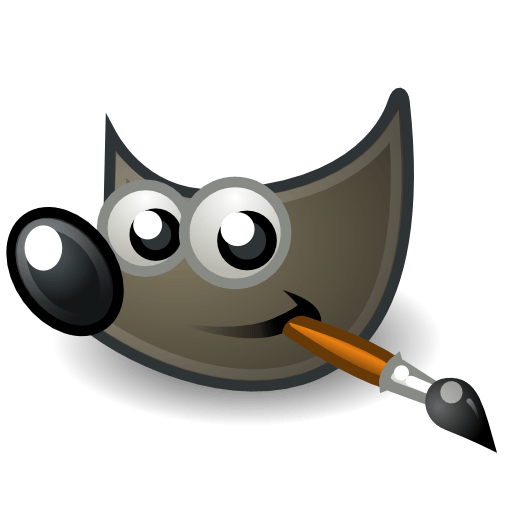 There are now 4 user interface themes available in GIMP: Dark (default), Gray, Light, and System. Icons are now separate from themes, and we maintain both color and symbolic icons, so you can configure GIMP to have System theme with color icons if you prefer the old look. Moreover, icons are available in four sizes now, so that GIMP would look better on HiDPI displays. GIMP will do its best to detect which size to use, but you can manually override that selection in Edit > Preferences > Interface > Icon Themes. The ultimate goal for v2.10 was completing the port to GEGL image processing library, started with v2.6 when we introduced optional use of GEGL for color tools and an experimental GEGL tool, and continued with v2.8 where we added GEGL-based projection of layers. Now GIMP uses GEGL for all tile management and builds an acyclic graph for every project. This is a prerequisite for adding non-destructive editing planned for v3.2. There are many benefits from using GEGL, and some of them you can already enjoy in GIMP 2.10. High bit depth support allows processing images with up to 32-bit per color channel precision and open/export PSD, TIFF, PNG, EXR, and RGBEfiles in their native fidelity. Additionally, FITS images can be opened with up to 64-bit per channel precision. Multi-threading allows making use of multiple cores for processing. Not all features in GIMP make use of that, it’s something we intend to work on further. A point of interest is that multi-threading happens through GEGL processing, but also in core GIMP itself, for instance to separate painting from display code. GPU-side processing is still optional, but available for systems with stable OpenCL drivers. You can find configuration options for multi-threading and hardware acceleration in Edit > Preferences > System Resources. Another benefit of using GEGL is being able to work on images in a linear RGB color space as opposed to gamma-corrected (perceptual) RGBcolor space. You now have both linear and perceptual versions of most blending modes. There is now a linear version of the Color Invert command. You can freely switch between the two at any time via Image > Precision submenu. You can choose which mode is displayed in the Histogram docker. When higher than 8-bit per channel precision is used, all channels data is linear.